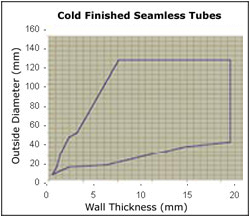 ISMT manufactures cold-drawn precision seamless tubes for use in hydraulic pressure lines. These tubes are specially designed to withstand high static as well as dynamic loads and offer a long lasting, reliable solution. 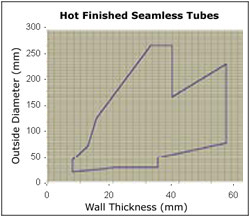 All ISMT tubes embody over 20 years of experience in the manufacture of Seamless tubes. The quality of tubes that we manufacture for hydraulic pressure lines fully reflects experience. Hydraulic pressure lines are subject to high static as well as dynamic pressures and often to pressure shocks. The only way to guarantee that our tubes will perform without a single field failure is to control the entire production process. For this reason we start with producing all our steel in-house. We bring to bear over 20 years of experience in manufacturing high-grade Bearing steel to all our manufacturing processes and to all our steel products (we are among a few select manufacturers globally to be approved by SKF and FAG for the supply of Bearing steels). The manufacture of precision seamless tubes is as much a matter of equipment as it is of experience and process technology. At ISMT, we believe in investing in the finest of equipment.For making seamless tubes we operate three Assel Mills, one PQF Mill, Pilger Mills, and Cold Draw Benches. Our tube-mills are imported from Shloemann Mannesman in Germany and incorporate the best in technology. With regards to experience, our team is amongst the most technically qualified anywhere in the world - the tubes that we produce for use in Hydraulic and Pneumatic pressure lines reflect this experience. Each tube is oiled, internally as well as externally, and then packed into hexagonal bundles. This ensures that the tubes are corrosion protected and that they retain their straightness during transport. Upon request, we can provide end caps and also wrap the bundles in LDPE sheets. We produce seamless tubes with up to an outer diameter of sizes 273 mm (10 3/4 inches). In addition to the standard sizes, we can produce any customized size as per the graphs below.